If you’ve been making Jello according to the package instructions your whole life, I feel like I must let you in on this little secret to make it SO. MUCH. BETTER. I mean, regular Jello is cool and all. It has it’s place, but when you transform it with a few scoops of ice cream, it’s a total game changer! This version is creamy and delicious, and tastes like an absolute dream! 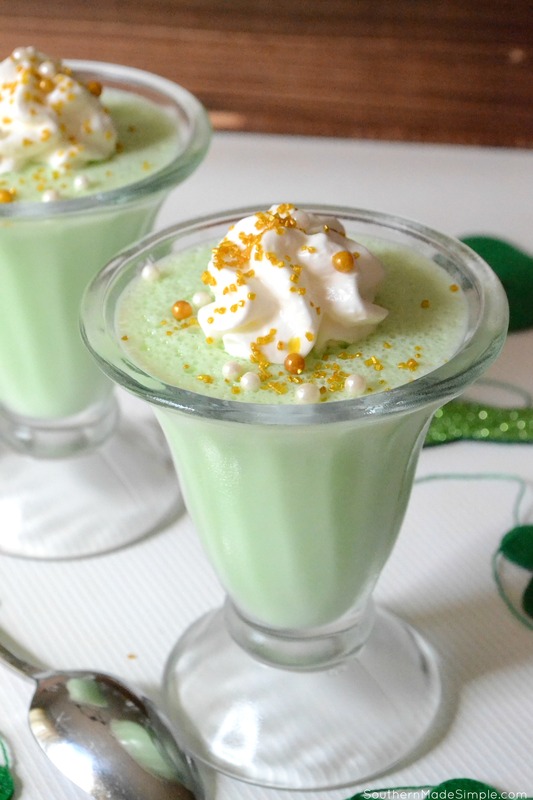 It can be made using any flavor of Jello you choose, but with St. Patrick’s Day quickly approaching, I thought it’d be fun to turn this into a fun little leprechaun treat for my daughter and I to share together!